A Lumbar Discogram is a diagnostic procedure used by the attending orthopedic spine surgeon to determine the intervertebral discs that may be causing back pain for patients. 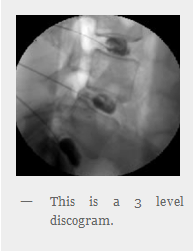 The discogram creates an exact image of the discs to help identify and confirm the actual cause of pain. Who is a candidate for a lumbar discogram? 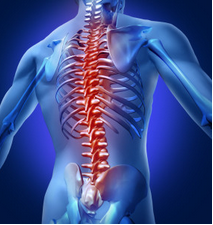 Back pain can be the result of a ruptured disc or a degenerative disc infection. A lumbar discogram procedure involves pressurizing discs with injections of sterile fluid to stimulate pain from pressure in the affected ones. 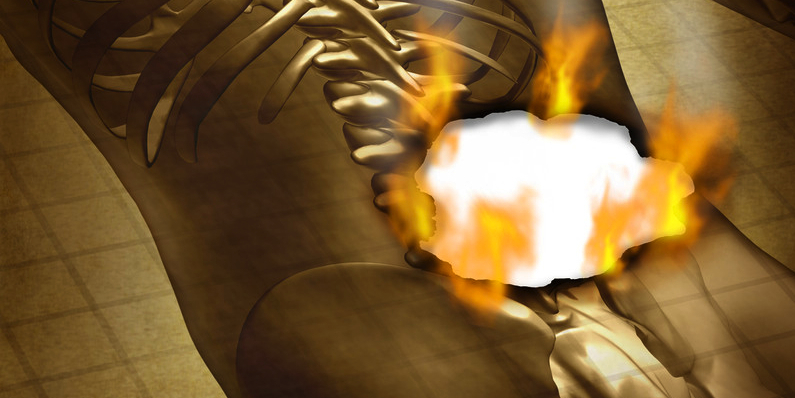 It is very significant tool. as it helps back pain specialists prepare a course of treatment for the patient. Patients are positioned on tables mounted with fluoroscopic x-ray machines in a semi-conscious state, so they are aware and coherent to answer questions regarding symptoms and sensations throughout the procedure. A lumbar discogram is used to evaluate patients with back pain where other nonsurgical diagnostic tests and treatment have failed to yield successful results. It is reserved for individuals with continuous, severe low back pain (chronic), or with abnormal space between their vertebrae from an injury or congenital effect. What is the Lumbar Discogram Diagnostic Procedure? In this surgical procedure, needles are inserted in the back into the disc near the affected region, guided by fluoroscope unit imaging. 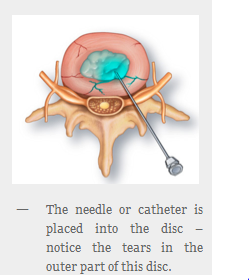 Contrast fluid is then injected in the discs to pressurize them, and pain responses are recorded. Two or three discs are treated at once, with a control disc for comparison. This diagnostic dye process is repeated until all discs have been evaluated. There is no pain felt by the patient although they are technically awake. Any fluid injected into healthy disc should be felt only as the slight pressure. If a damaged disc is injected however, the same symptoms will be recreated prior to the diagnostic discogram. What responses happen with the contrast dye? There are three main responses. Basically, a patient may feel pain, nothing, or pressure. After each disc is pressurized, the needles are removed carefully. A fluoroscopic-guided unit is used to take photos or images for further diagnosis. Normally, a post-disco CT is obtained, and used in documenting the internal structure of the discs. The Lumbar Discogram diagnostic procedure normally takes less than one hour. Acetaminophen, ice packs, or ibuprofen can be applied to ease soreness. Sedation is usually avoided to prevent interfering with sensations or reactions. As with any surgical procedure, a patient may have allergic reactions to medications used, the contrast dye, or the anesthesia. Patients currently taking blood thinners, that may have an ongoing infection, or any kind of cardiac issues should notify their doctor and consider other possibilities besides the discogram. In these cases, the patient and doctor will have to weigh the outcome versus an alternative method for pain relief. The most serious problem associated with this surgery technique is the disc space infection (discitis), which is very difficult to treat. Luckily, this is rare due to the use of strong antibiotics and high-level sterilization techniques. There is a remote potential of nerve root injuries. Soreness that may be caused by needle punctures may last for many days. There is possibility of a minor headache. What is the bottom line with a lumbar discogram? With an experienced and highly skilled medical professional who applies modern discography techniques, these risks and complications are very rare. 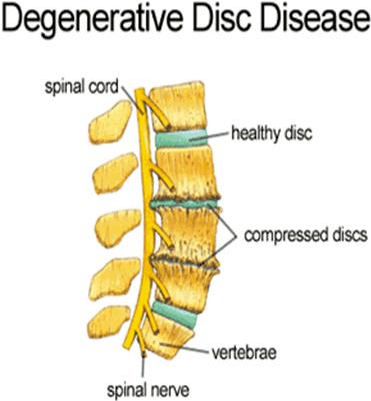 In nutshell, lumbar discogram is a preoperative diagnostic procedure used to find out which intervertebral discs are generating pain. The subsequent needle placements are not painful. If pressurization of discs causes familiar pains, then surgical intervention may be recommended. If you have a chronic back problem with pain that is not being helped with conservative treatment, a lumbar discogram may be indicated as a valuable test to diagnose the pain generator. Call the Denver Pain Network today to get connected with the best pain management Denver offers for discograms!